Yes, according to many user Windows 10 Mobile is optimized platform to battery safety. It works one or two days with a single charge. So forget a power bank bring your Windows 10 Mobile. Just turn on a Bluetooth for a day, and you can see the different between Windows 10 mobile and others OS. What can I say, there is limited update on the apps, and the apps is not huge comparing a fruit or a robot. So if you are an economical data subscription like me :D, just buy a windows 10 mobile, and you won't get daily update just like a robot. If you are a people who love to edit a document on the go, even a document with encrypted state like a OneNote pages, you can do that with Windows 10 mobile. Yes, the robot and the fruit also provide this feature, but try it!, it's a different thing with different support! Just compare your Windows 10 Mobile with others OS on the same specs, you will understand why the Windows 10 Mobile provides better operating system services such as hardware utilization, application activation. No lag, No memory leak it works just like a modern PC with Windows 10. Buy an app for two operating system is great, you just invest one app on your desktop and you will get the app for free on your Windows 10 Mobile. Your app on desktop and on mobile with same user experience! Meet the continuum, you will understand how to utilize your 2 Ghz+ processing power to edit, to read, and to browse on a large screen like PC or TV. Furthermore, it's not a screencast or screen extension. It works seamless! You can still use your phone, while editing your document with Bluetooth keyboard and mouse. Cortana is a mile better than a Robotic voice on a robotic operating system. It's flexible, humourist, and intelligent. It can remind you when you need to leave your home when have a meeting, ask you to take a rest and eat a restaurant with a good rating, or even recommend you for a conference proceeding to read it on the go! From the old Lumia 920 on 2012, till the new Lumia 650, you will get an update. You can save your money, to invest for your life, not for your gadget. It gives you a fast, a slow, or a stable build of Windows 10. It's up to you. Reason Number 9. It's Xbox. Play the game, get an achievement, control your Xbox One, multiplayer support. Yes! It's Xbox live platform. If you have an Xbox, it's a good companion. 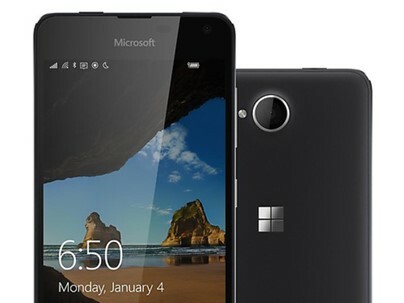 Last but not least, Windows 10 mobile is cheap enough. Compare the price for high end robotic or fruit with Windows 10 Mobile. You will understand why the price is important and why Windows 10 mobile can keep your wallet happy! That's all folks! Let's discuss a 10 reason why you shouldn't buy a windows 10 mobile in the next post. Take care!